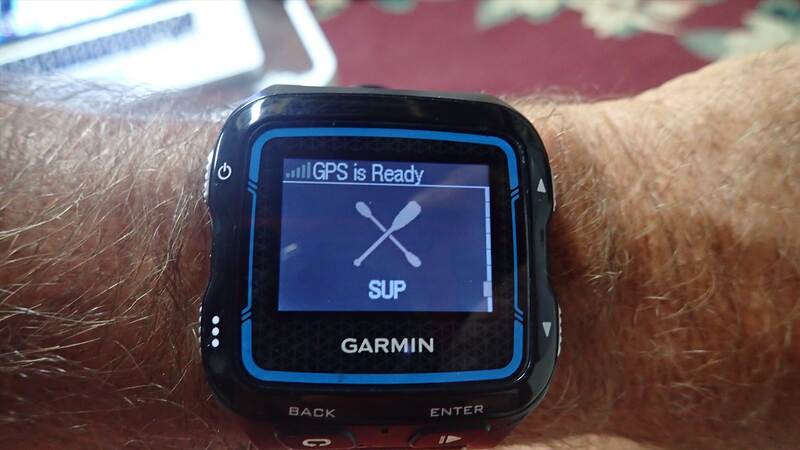 I just got my Garmin 920 XT, which I bought with the idea of tracking my SUP distances and speeds. 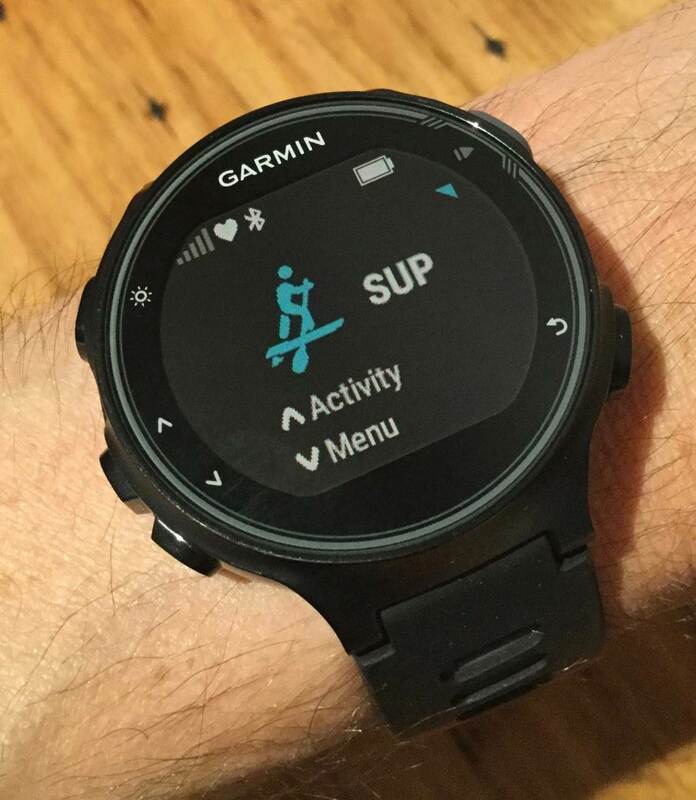 The watch doesn't seem to have a SUP app, and I can't find any on the Connect IQ site either, so I'm hoping for some tips on the smartest way to use it for tracking SUP sessions. Do you use the run or the swim app? Are there other tricks? G'day monfils525 just use the run setting, I use the run setting for both SUP and soft or hard sand beach running. Just change the activity when you download it on Garmin Connect. Also get the watch to beep and vibrate at the kilometre mark. with my 920 I set up a custom activity profile for SUP. easy enough to do. I used "other" for SUP, when I had one. I used the 1km lap for distance runs but turned it off for programmed intervals. The 1km lap alert will turn off automatically when using the 920XT intervals training activity. OK I concur the 910XT should because the old 305XT and 310XT would turn the 1km lap alert off automatically, when using the intervals activity. You should have contacted Garmin Support if you had issues with the 910XT, they're happy to help. I have the new 735XT and it came with a SUP activity profile out of the box. (note you have to add it to the list via the settings menu in the watch). It records stroke rate, distance per stroke as well as the usual speed, distance metrics and heart rate metrics. Really nice. I read somewhere that this profile is also (or will be) available for the 920XT... I'd suggest making sure that you've upgraded your firmware to the latest version and then have a look in menu -> settings -> activity profiles if you haven't already. Yep the 920XT also records stroke rate, distance per stroke as well as the usual speed, distance metrics and heart rate metrics. Really nice. I was talking with Jenny Kalmbach from Big island on Maui last July while paddling Maliko Jenny is sponsored by Garmin she was telling me Garmin are making a watch for SUP so the 735XT that was released on the 13th May 2016 must be the one as it has Bulk feature for many different sports, at $700. I went to settings -> activity profiles -> add new. That lets you first choose a color and then a profile. There is none called SUP but there is a profile for rowing and one for paddling, so that's what I went with. Hoping to try it later today. Very happy - does what it says on the lid in a light and compact package. 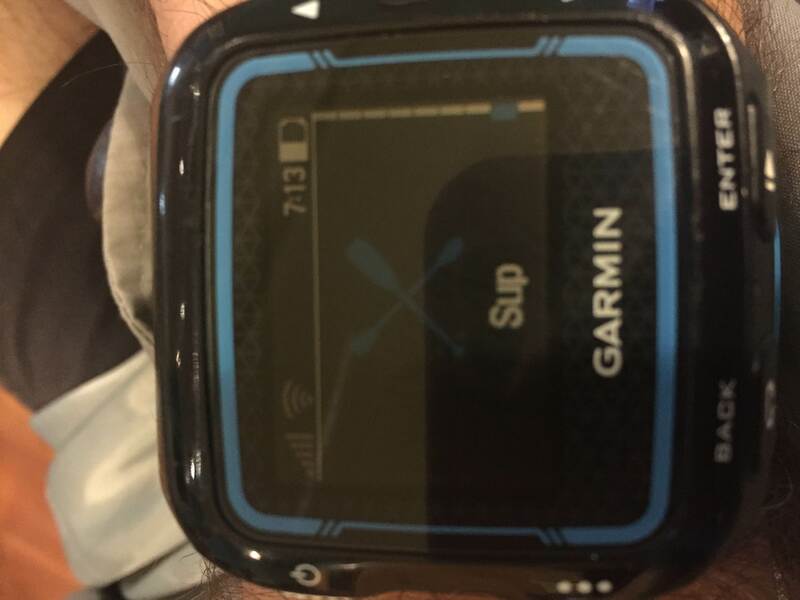 If anyone is interested I'm happy to post a screen shot of the Garmin Connect default displays for SUP activity. Did you make your own paddling profile called SUP? Or should I be able to find that profile? It's just an activity option. You need to connect your watch to your PC then select activity profile in Garmin Connect ( I think?). I do all my training program, download training data etc onto my laptop then sinc it to my watch). The SUP activity is not a factory standard but is one of many activity profile options. 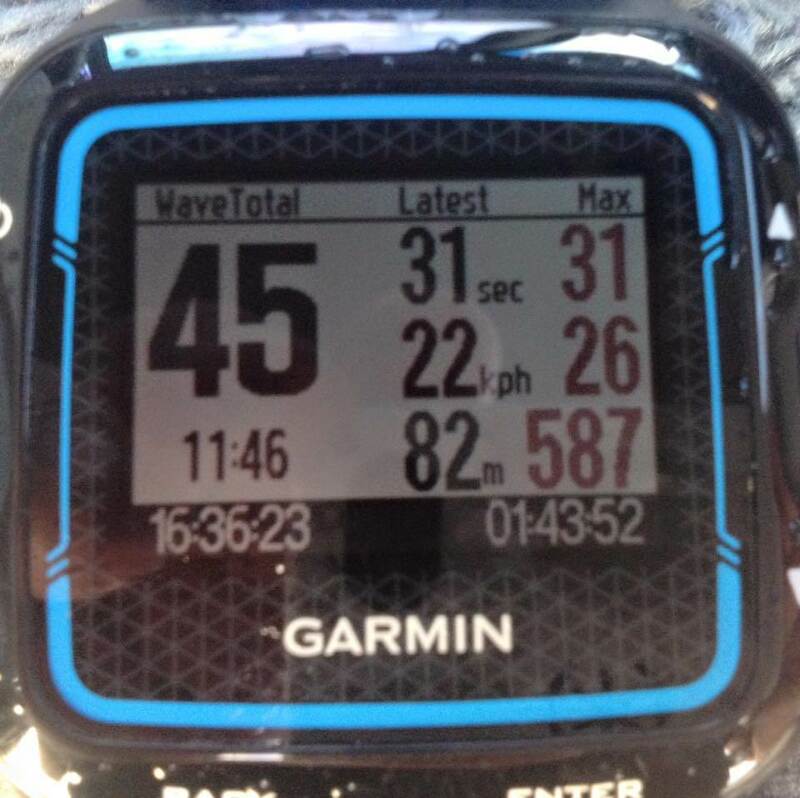 It shows you wave count, max speed, length of ride etc, latest and maximums. Think it was called big wave dave. Not exactly sure what I did but added it to an activity called paddle as one of the screens, it does not save the info on garmin connect though, I did read how you could save it as a word file or something but haven't tried, I just find it interesting info to check out when you are surfing. I am wondering how well it might measure runs on a downwinder it depends how the parameters are set up as it just goes off speed. Got a few this day. Anyway I am not really tech savvy I just fumble around but I haven't been able to find the SUP activity, I believe I could create my own but it sounds like you guys reckon there should be one already available, I can't find it either on watch or on Garmin Connect via pc. How did you go Monfils525? I believe I could create my own but it sounds like you guys reckon there should be one already available, I can't find it either on watch or on Garmin Connect via pc. tightlines just on into activity Settings, then go to new activities easy you'll work it out, I'm not tech savvy also, but if you're having issues go to Garmin Australia Customer Support: 1800 235 822 they'll go out of there way to help you. A late answer is better than none, I hope. I did the following: Settings -> Activity profiles -> Add new -> Other. Then you choose an icon and setup a profile. It is simple. If there is a way to get a preset SUP app or profile by now, I'd be happy to know. We have 0 degrees and 3 degrees water temperature in Denmark now, so no SUP:ing for me.